Jeerjimbe brings to the forefront the struggles of the 13 year old Protoganist Rudramma. This film is an ode to all the girls across the country. The film sketches the life of a young girl from a remote district in the state of Karnataka in her courageous pursuit to break away from the clutches of the evil practice of child marriage. The film attempts to portray the impact of policies of the State targeted to emancipate young girls. For instance, a part of the film depicts the government program which distributed bicycles to young girls. The bicycle scheme is a metaphor which serves as a driving force to help the protagonist overcome unforeseen circumstances of the household and helps her muster courage to fight against the evils of society while pedalling towards a brighter, better, and a safe future. The film also wishes to be the voice to the unheard stories of many girls fighting their battle and hoping for a better future. An independent Feature/Documentary Filmmaker, Researcher from Bangalore, Karthik Saragur always believes in three magic words of story telling – “Once Upon a Time”. 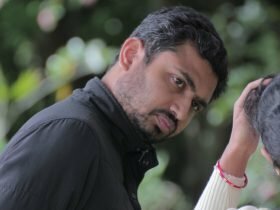 A journalism graduate and Filmfare award nominee, he has directed acclaimed 60 hour Documentary series on History of Bangalore. Having made Docu-drama ‘Vivekananda By Vivekananda’, on the life of Swami Vivekananda, Karthik is creative director of BEEHIVE PRODUCTIONS, Bangalore. Jeerjimbe – The Jewel Beetle is his Directorial debut. He is currently working on his next feature film, “Bheema Sena Nala Maharaja”. Founder and Artistic Director of Bangalore International Short Film Festival (started in 2010). Previously, Deputy Artistic Director of the Bangalore International Film Festival. Actor, producer and ex-President of Suchitra Film Society – 40 year old organisation. Anand is also the Trustee of Suchitra Cinema & Cultural Academy and Centre for Film and Drama, where works are underway to start a first of its kind Cinema School. Additionally, Anand collaborates and mentors with many independent filmmakers and producers for their new ventures. His experience with cinema is global with several International cultural Forums in his repertoire, including curating of Film Festivals and also as Jury for organisations across the globe. He is a regular visitor to Cannes, Berlinale and Goteburg Film Festival. His affiliations overseas include but is not limited to Oberhausen – Germany, Sapporo Short Film Festival – Japan and Haifa International Film Festival – Israel. Earlier, he worked with GE in Business Market Intelligence and with Palador, a film distribution company, as a Strategic Marketing Consultant and used to head their South India operations. 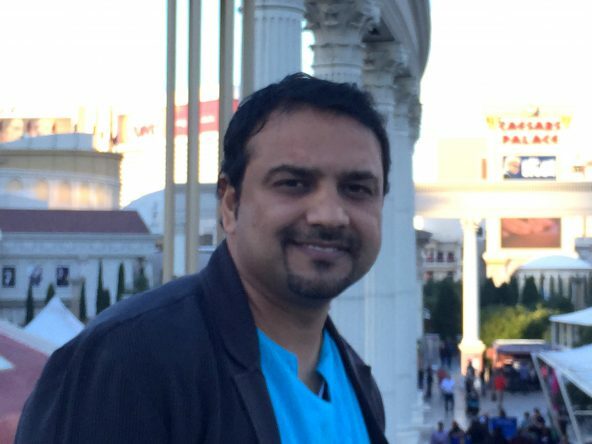 Furthermore, he is a Director on Palak Paneer film productions, which works on producing Indo-European Films and the Indian Director on the board of CineSend – Digital movie sending platform.